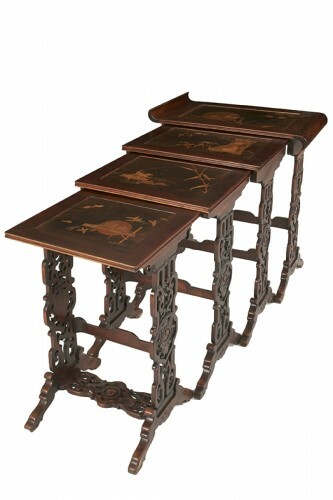 These four nesting tables offer a variety of shapes and motifs inspired by Asian art. 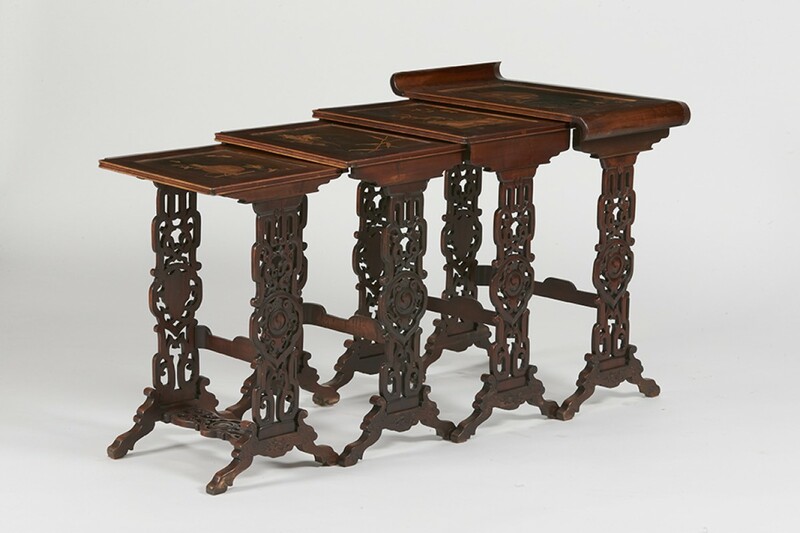 The table legs are decorated with motifs evoking the Far East. 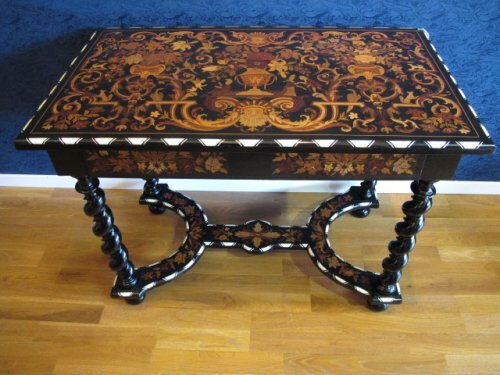 The table tops are worked in wood marquetry and represent animal scenes. 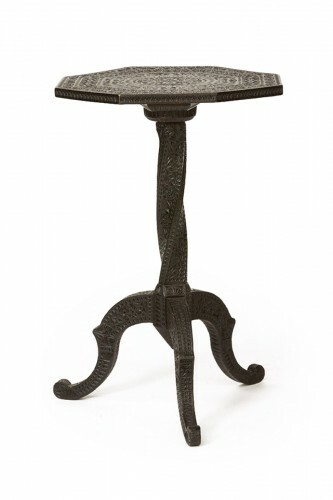 These nesting tables, by their shape and technique, are extremely close to Gabriel Viardot's creations. 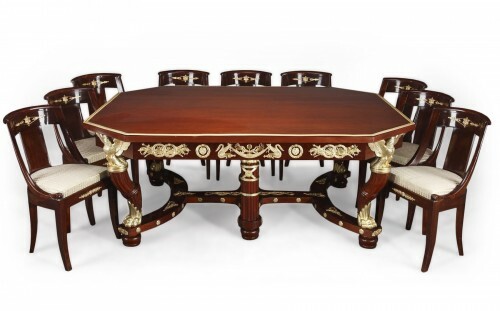 A famous cabinetmaker of the 19th century, he is considered the leader of a generation of furniture designers in Chinese and Japanese style adapted to a European clientele. 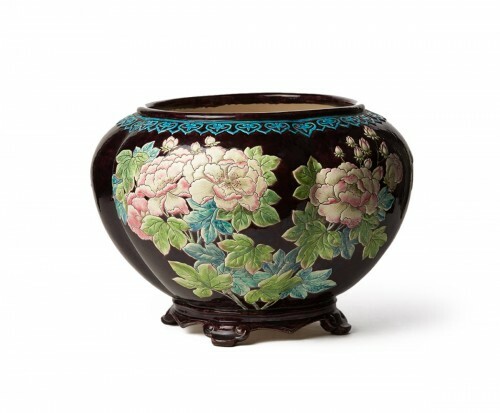 He proposed works reserved for an audience of connoisseurs and collectors. In particular, he created Chinese inspired display cases for the collector Clément d'Ennery for the collection of his Parisian private mansion. 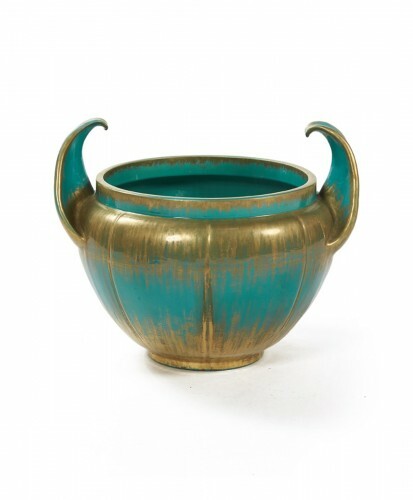 His work was celebrated several times at World's Fairs.